Moose Jaw Toyota | Finance or Lease? How many kilometres does Toyota Financial Service' standard lease provide? What if I drive more than 24,000km per year? You have the option of purchasing extra kilometres at a reduced rate up front. If you are not sure, you can buy extra kilometres at lease end at our standard rate. If you drive significantly more than the standard allowance, financing may be a better option for you. What is Guaranteed Asset Protection or GAP protection? GAP protection is automatically included in all Toyota Care Leases.If your vehicle is declared a total loss, GAP will cover the difference (the gap), after you pay the deductible, between what you owe on the remainder of your lease and the amount of your insurance settlement. You are only responsible for excess kilometre charges and any pre-existing damage to the vehicle. All Toyota Care Leases are closed end leases. This means you make a set number of payments over the term of your lease and the leasing company guarantees the "price" or lease end value of your vehicle at the end of the term. Factors such as economic conditions, vehicle popularity, colour and equipment can all affect the value of a used vehicle and can result in the market value being lower than the lease end value at the end of your term. 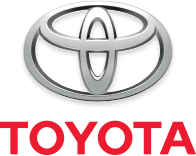 By guaranteeing the lease end value, Toyota Financial Services assumes the risk of any loss on the used vehicle. So, if your car is worth less than the lease end value, you can simply return the vehicle to us. You are only responsible for charges at lease end that may result from excess wear and tear or exceeding the kilometre limit set out in your lease contract. The customer is responsible for the vehicle's overall condition as detailed on the lease agreement (appearance, mechanical condition etc.). Charges will apply to kilometres that exceed the provisions in the lease. A car lease will generally give you lower monthly payments and less up-front costs than financing the same model. Even low-percent financing may have higher payments than a comparable car lease. You can upgrade to the newest model every few years, often without having to pay significantly larger payments. When you lease a truck or car, you will typically pay less tax on a lease, as you only pay tax on the monthly payment as opposed to the full purchase price of a vehicle. The biweekly loan payment option enables you to make your vehicle payments every two weeks instead of on a monthly basis. When you finance a vehicle, you have the freedom of unlimited kilometers and all the other benefits associated with owning you vehicle, including the ability to equip it with your desired aftermarket accessories. There are no penalties for excess wear and tear and you are free to drive an unlimited number of kilometers each year. Financing has a lower carrying cost than leasing, as with a lease you are not repaying the entire value of the vehicle.